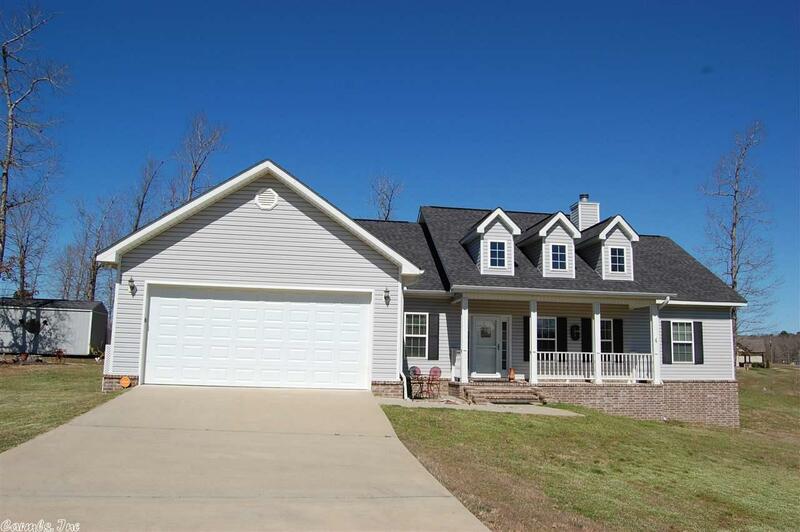 **Charming Country Home with Front Porch** 3 bed/2 bath, office, laundry, and pantry. Beautiful open floor plan with colorful granite countertops and dark cabinets. Gorgeous wood burning fireplace. Custom built shelves for your favorite decor/pictures. Closet space is unbelievable in this home. Master has 3 big walk in closets. Extra bedrooms are large w/double door closets. Nice enclosed screened in porch off the back to watch the wildlife. The storage building will remain with acceptable offer.